Being the outdoorsy type of family that we are…we go through quite a bit of bug repellent. Nevertheless, we always end up with some type of bite or rash. One of the most common remedies for these types of ailments is calamine lotion. Calamine seems to be the go-to for those suffering from poison ivy and mosquito bites to chicken pox and eczema. 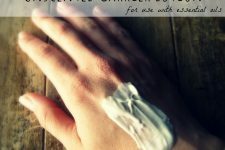 So here’s a homemade recipe that you can make with just a few ingredients that produces a look-a-like Calamine lotion. Well…it’s not exactly “look-a-like” — it’s more grey than pink — but I tell ya, it works wonders on any skin condition that causes an itchy irritation! 1. In a small glass or ceramic bowl, combine all of the dry ingredients. 2. Slowly mix in the water until a smooth paste forms, then add the essential oils. 3. Use as you would calamine lotion and apply directly to affected area. Looking for ingredients? Mountain Rose Herbs carries the sea salt, bentonite clay, and essential oils you will need. 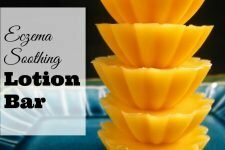 Ever tried to make your own lotion before? Would you possibly be able to mix this up using witch hazel instead of water for a longer shelf life (or white vinegar)? CheyRose, I have a batch of this that was made with witch hazel instead of water and it’s totally fine even though it’s been out at room temperature for months. The alcohol in the witch hazel keeps it from going bad. Mine also has tea tree oil and goldenseal root for some extra healing power. Works great – draws out the icky stuff and soothes the itch! It’s also good for cuts, pimples, you name it. 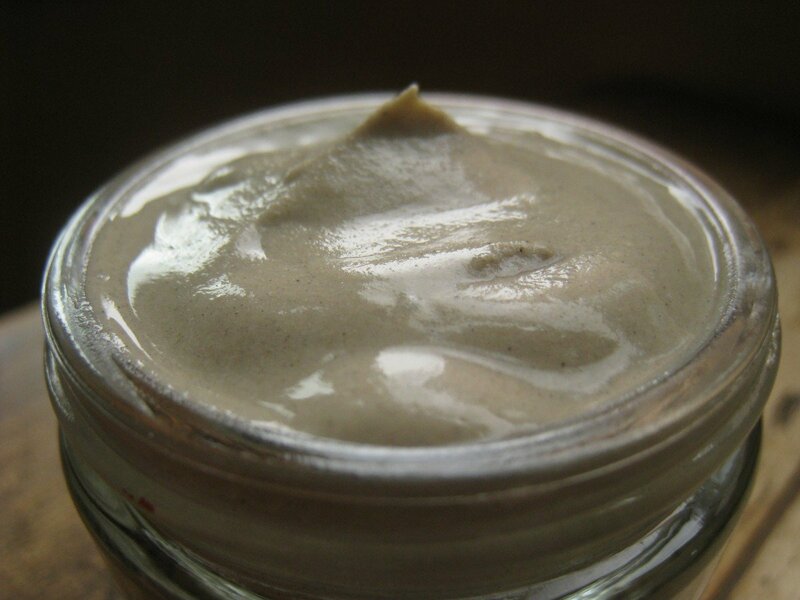 Bentonite clay is awesome! Perfect timing! I woke up with hives this morning. Thanks so much for sharing this. I’ll let you know how it works. Great, thanks! Wish we would have had this this weekend. I had my girl put baking soda on her itch, and it didn’t quite do the trick. 🙂 I’ll be making this today! This is great! I just got back from vacation and my legs are just covered in mosquito bites. wher dou get the bentonite clay at? Someone wrote asking where you get the Betonite Clay and I heard that Cat Litter granules are comprised of Betonite Clay, so I guess you could have perfume calamine Lotion into the bargain, as there is a nice deodorizing scent combined into litter granules. I mix Calamine Lotion , 50ml with Lanolin (sheep woolfat) 25 G + 1 tube 30G Hydrocortisone Cream and dipenhydramine powder ( from 3 x 25mg caps emptied and poured into the total 100 G mix) Use for insect bites – sweat rash, jock (or Jill !) crotch itch, night time sock itch you sometimes can have when weather hot and socks are tight. Also great help during Shingles Rash. I tried a water & bkg. soda paste on my daughter’s back and it just dried and flaked off so quickly. I wonder if the bentonite clay recipe has more “staying power”? Andrea, would you have any ideas (maybe a blog post on this!) for gifts for the elderly? My grandmother is 80 years old and I’d love to make her some things that she would enjoy and that would be delicate for her fragile skin. Thanks! Drats! Just recently put in my (yearly or so) order from Mt.Rose Herbs. The shipping is too much to order more frequently. I don’t have the clay but really could have used this recipe recently. My youngest sometimes gets a body full of hives and we don’t know the cause. She has a ton of allergies but we don’t always know what she is reacting too. I’ll save the recipe for another time. For other Canadians, well.ca carries Bentonite Clay Powder but only in 1lb container. This recipe seems like a great substitute for those of us that allergic to the zinc that’s the main active ingredient in Calamine. Thanks! Just LOVE IT!! You are so good! Today my little one had some strange red bumps on her arm. I thought gee.. I wish I knew how to make that calamine lotion.BAM!! Here it is! My family has loved ALL of your recipies! Thanks for being there for me! Keep up the good work. Love this tip! Perfect for South Louisiana! SALT is also a preservative. I doubt you need to change the recipe. There really is not food stuff for bacteria to feed on in this recipe and it is easy enough to make in small batches. Why overkill ? I thought this would be perfect. A 3 yr old with his leg swollen from mosquitos, he reacts badly. Last time it was on his ear and he had to be on antibiotics. Well, his mommy was putting diphenhydramine on it, filled with other horrible things, like propylene glycol, parabens, alcohol etc. I made this paste up, and well, he screamed and screamed until I washed it off. I’m thinking it was either the salt or the peppermint. Maybe he didn’t understand how the peppermint would feel. I made a new paste, without peppermint and without salt and will try that after he calms down. I’m trying to keep him from a drs. office. I’m the grandma, he lives with me. By the way, I noticed the expiration date on the cream she was using, was 2009. Nothing I can do about it except what I’m doing already. He is drinking what he calls, milk of a goat (raw). For very recent insects bites, keep a small bottle of ammonia handy or some dissolved baking soda and water. The base will neutralize the fomic acid in the insect bites and get rid of the itch. I have found a drop of ammonia works very quickly. Another remedy for poison Ivy is 1 cup oats, 1 cup Horsetail shave grass, 1/4 cup baking soda. Thanks for the tip. We got to the leg bite much sooner than what had happened to his ear. His mommy doesn’t always see these things. So, my husband and I both kept treating it to relieve the itch. Scratching seems to make it worse. I made up a spray in a bottle for him, some witch hazel, lavender, and a few other things. I included an oil so it would stay on his skin a bit longer. Last night, he told his mommy that he needs his itch spray. Not letting the bite/itch get out of control seems to be important and keeping the child distracted so it has time to go away. You can get bentonite at seed-n-feed stores. I’ve got some diatomaceous earth that has bentonite in it. It’s good for killing bugs in grain without poisoning it. I would assume I could make this stuff with the DE/bentonite mix, but I do think they had straight bentonite as well there. I have no idea what bentonite clay is. What is it used for otherwise? I am from South Africa and I am not sure if it is available here. Is it a very important ingredient or can you leave it out or use something in it’s place? To make bentonite clay: grind up clean, unscented kitty litter in the coffee grinder or food processor until it forms a powder, then mix with water. Dirt cheap and readily accessible if you happen to have a cat. Is bentonite clay like what we in the UK would call Fuller’s Earth? i would in no way substitute kitty liter for kaolin or bentonite clay. kitty litters now contain carbon even thought it doesnt say. using kitty litter for any type of cosmetic use is not smart esp when you’re involving kids 3yrs old and younger. even if you find kitty litter that dosent have carbon in it remember its made in chemical factory not a cosmetic factory (standards are wayyy different). 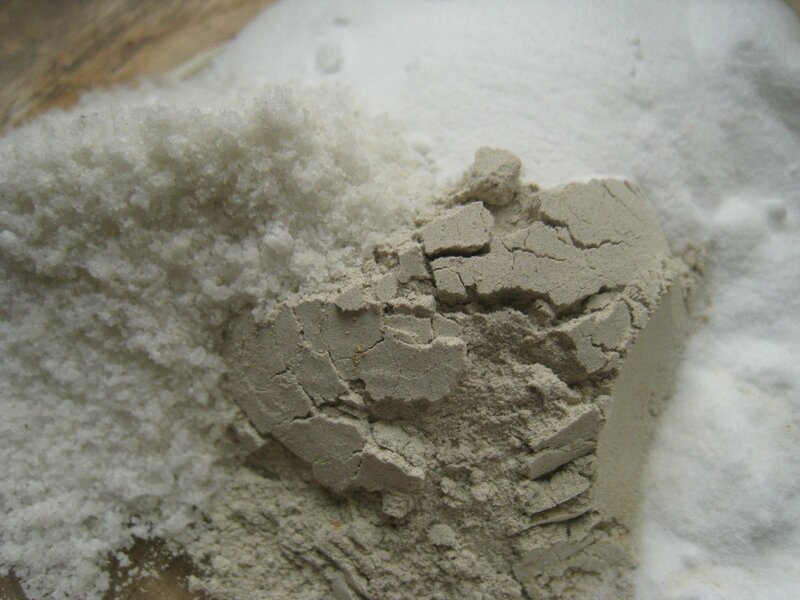 kaolin clay or bentonite clay is also called china clay. i order tons of it and its easy to find with a quick google search. as a professional cosmetic designer i wouldnt go the kitty litter route. Thanks soo much Andrea for this recipe. I was suffering with a terrible itchy, hot rash on my hands from what I think was an allergic reaction to non-latex gloves that I wear whenever I wash dishes, I should have thrown them away after they got a little damp inside but now I’ve learned my lesson. The paste did burn for the first few minutes but then it calmed down when it dried and now my hands feel so much better. I also used Witch Hazel in place of water and I find putting on W.H. alone helps keep the itch away and the skin hydrated between applications of the clay paste. Hopefully the rash will go away soon but this is a great option in place of store-bought toxins..
Um, how about if i use calamine powder mix with water or rose water or white vinegar. It still will be giving the same fuction like this recipe . If you add vinegar to anything you will change its chemical properties. Vinegar contains Acetic Acid as we know. Clays for example are form over years and contains chalk, vinegar dissolves chalk. A hens egg, to demonstrate the properties of vinegar, will have its entire shell softened by soaking it in vinegar, indeed, by adding to a bottle or jar, containing an egg softened in this way, some chalk (calcium carbonate) the softened egg shell will regain its hardness. 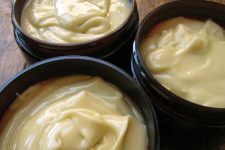 I hope this long story didnt bore you, its the only way I could simply demonstrate how vinegar may well change the properties of you own made calamine paste or lotion that you planned to store. I think the originator’s idea of keeping the powdered mix in a bag, maybe one of those seal easy zipper bag, and make the paste as needed is best. I know we live in an instant work where life needs to give us as much time as we can get, but to mix this quickly even with some spit (in an emergency) as the Indians did will not take too much time out of your life. 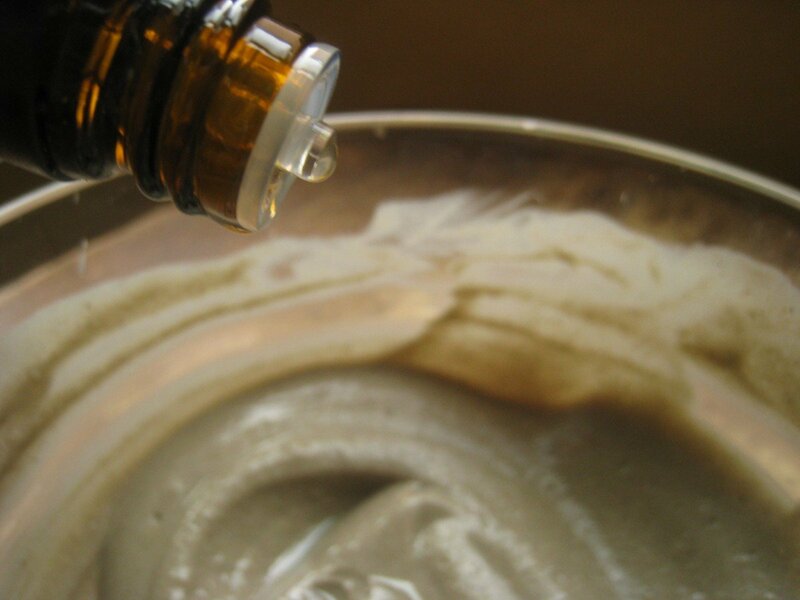 Typically pharmaceutical companies preserve lotions like calamine using a solution of phenol. But phenol in it normal solution form is dangerous and only become safe as a preservative in minuscule amounts well shaken into the lotion. Dont use phenol unless you know the percentage to use and have a knowledge of the substance. It is extremely corrosive and will blind you easy if you have a spill. Just to correct my typo’s – I meant bag(s) (plural) and “world” – not work- sorry I wrote this in a rush to go out. 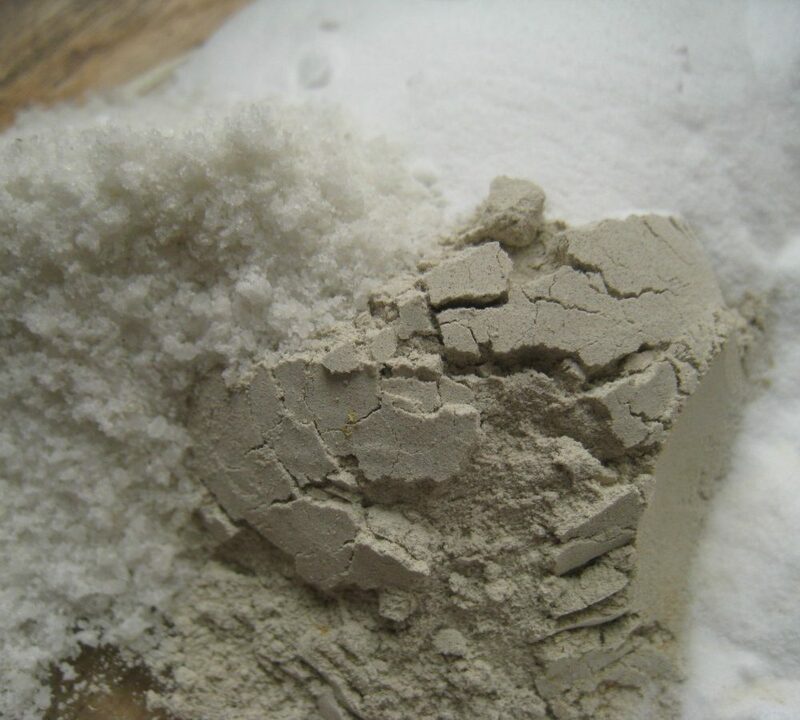 Kaolin (china clay) is great for skin conditions as it is full of “good” bacteria’s. I sculpt in clay and those who may have a skin issue in our class/studio will just put some kaolin on the problem area and La La! Problem solved. The clay barrel really smells from the bacteria, but it works like magic. I have worked in clay since high school and am now 58. This works, I swear! Have a horrific allergic reaction rash on one side of abdomen that appeared out of no where. to what? God knows, never ever had this. Ive been reading possible candida over growth? At first just red bumps went to dr. Who prescribed oral steroids. I haven’t taken them yet. Looking for alternatives. Used lavender and acv calmed a bit. Now its itchy as a mutha! Just applied this. Stung a bit. Do I keep this on all night or wash off after 1 or 2 hours?